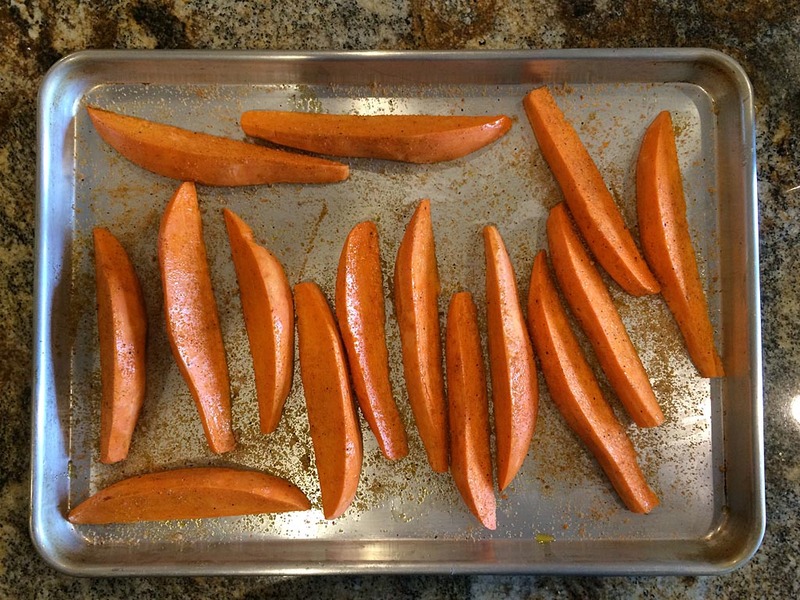 Grilled sweet potato wedges make a great side dish to accompany any meal. They’re easy to make, darned tasty, and a good alternative to regular potatoes. Where I live, the vegetable called “sweet potato” has a light-colored skin and yellow-white flesh, and the vegetable called “yam” has a red-colored skin with orange flesh. 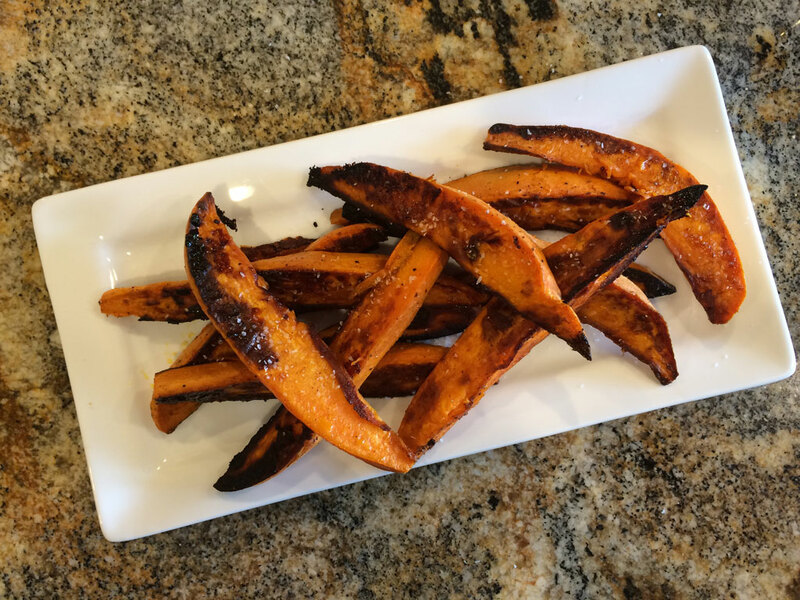 Lots of restaurants that serve “sweet potato fries” are serving the orange yam, and that’s what you want to buy at the supermarket for these sweet potato wedges. 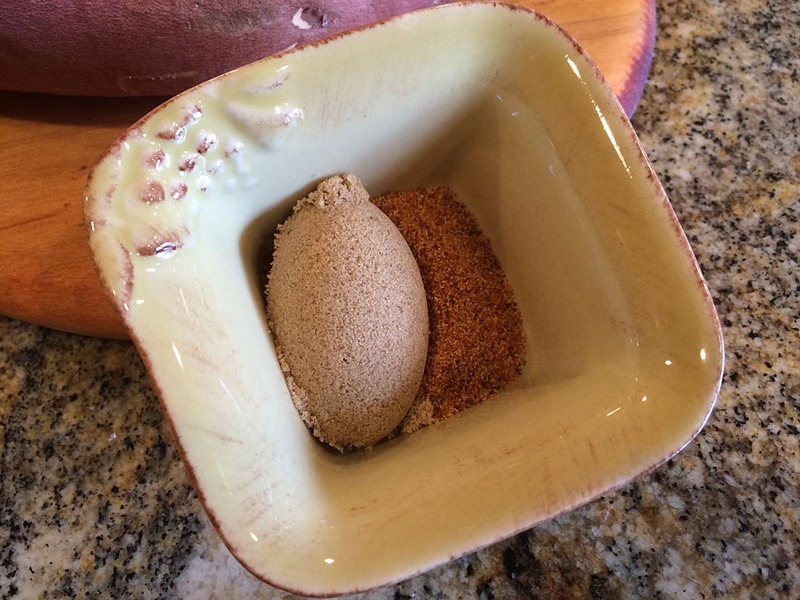 To prepare the rub for these wedges, mix 1 Tablespoon light brown sugar with 1 teaspoon of your favorite barbecue rub. The rub will flavor the yams and promote browning during cooking. I used 1 teaspoon of Slap Yo’ Daddy All-Purpose Rub. You can buy it from SlapYoDaddyBBQ.com or make this version yourself. Peel two good-sized yams. 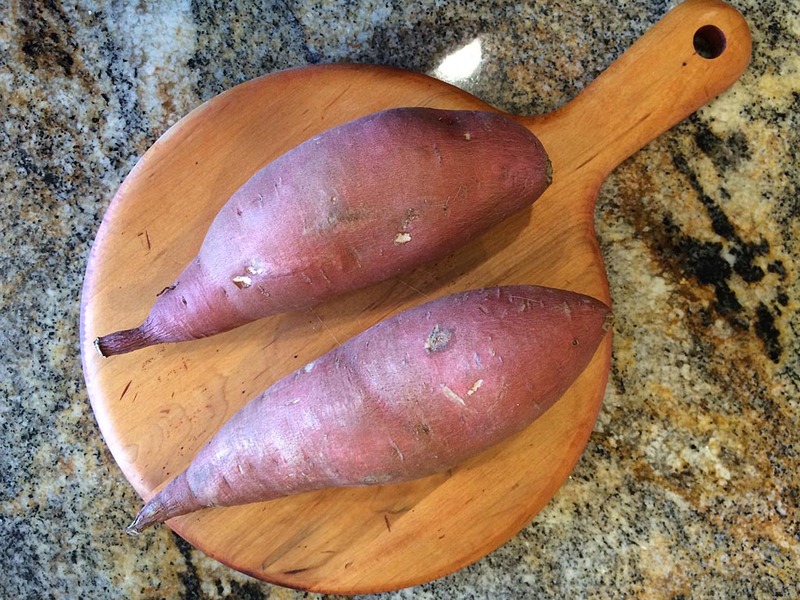 Cut each yam in half lengthwise, then cut each half into 3-4 wedges depending on size. Place the wedges on a half sheet pan. Drizzle with 2 Tablespoons olive oil or vegetable oil and toss to coat evenly. Arrange wedges cut-side down and sprinkle with half of the rub. Turn wedges over and sprinkle with the remaining rub. 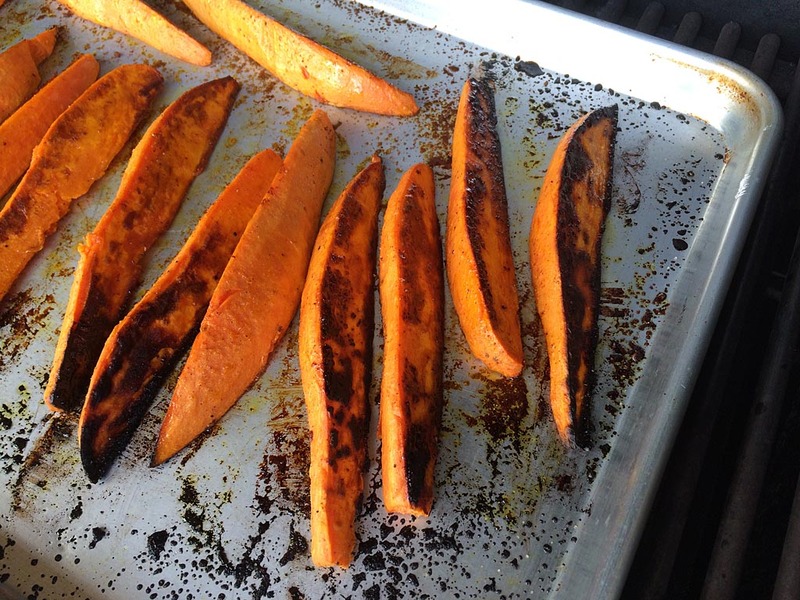 Place wedges in a preheated 450°F gas grill and cook for 20-25 minutes, turning once. To serve, arrange wedges on a platter and sprinkle with kosher salt. 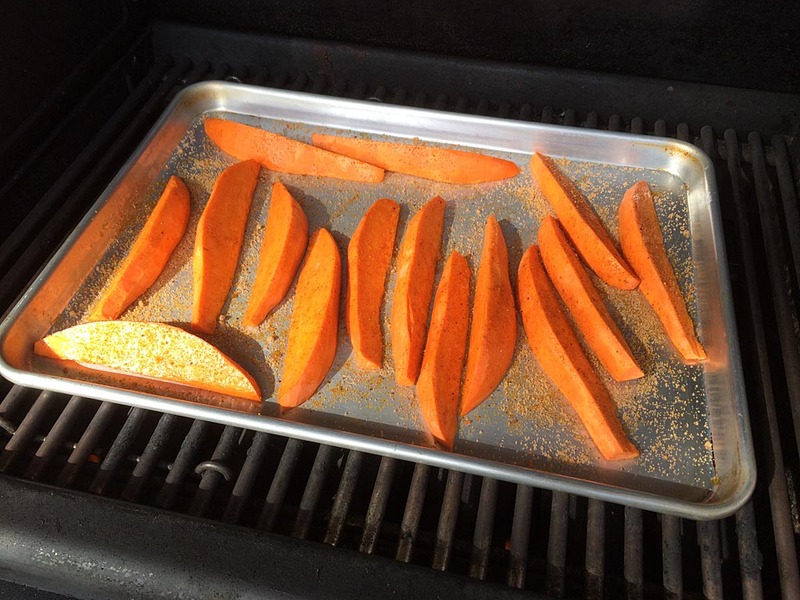 I grilled these sweet potato wedges in my Weber Summit 450 gas grill over direct heat with all burners on low and the temperature ran between 450-500°F. If you run the grill using indirect heat, the wedges will not brown evenly. Watch them carefully…mine got too brown in a few spots but were still delicious! Of course, you can also make these wedges in the oven. Just bake at 450°F for 20-25 minutes, turning once.